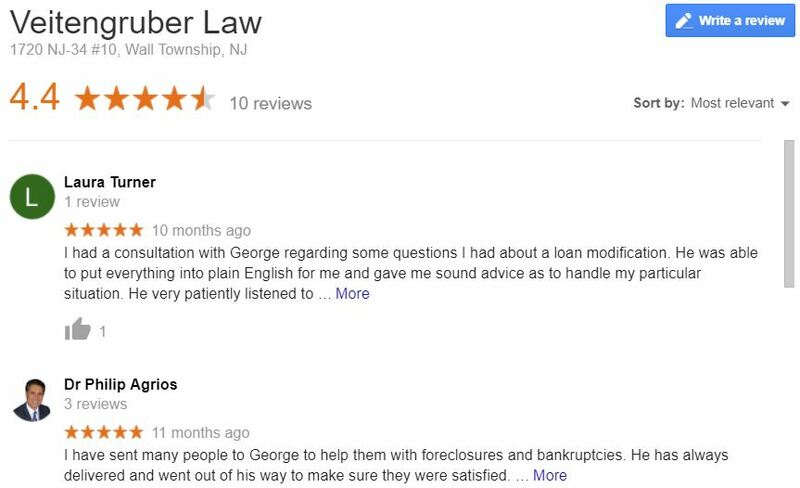 How Important are NJ Attorney Reviews? The knowledge and expertise of George and his team are extraordinary.– P.S. Excellent team of people ! Always get right back to you. George has a way of making you feel better in very difficult situations. He is a gem. The staff is also very effective at what they do. I highly recommend them. –S.C. Best lawyers in the area. Hard working, attentive, very knowledgeable, ethical. You can’t do better.–A.G. I have sent many people to George to help them with foreclosures and bankruptcies. He has always delivered and went out of his way to make sure they were satisfied. I highly recommend him and his firm. –P.A. Every business must inevitably endure negative reviews. It is a challenge to maintain a positive online review presence because leaving a negative review is a much more motivated process than leaving a positive review. A positive review, while it reinforces the client’s good experience, is not at the top of anyone’s to-do list. Moving clients to share their positive experiences can make a key difference in your online marketing. How do you go about tactfully asking for a review without turning the client off? Ask in person: At the end of a service, it is an important step to ask how the client felt about your work. This serves two purposes: you can learn the client’s feelings about how you did, and you get one last chance to uncover any unmet needs. While you may hesitate to ask because of the fear of an unhappy response, it is important to move past your own discomfort. It helps to keep it light-hearted; something like: “You’re the boss, how did I do?” brings the client’s guard down. Once you know how they feel, let them know that you would appreciate if they would leave their comments online. Let them know that you will be sending a survey or link so they know to look for it. If the client has already shared their thoughts with you they will be more ready to craft their response once they receive your review request. Send a digital message: Choose whatever method the client previously preferred to communicate with you (email, text message, or social media message) but do not overload them with reminders. Send your first message within the first week after your business is concluded. Send a second reminder the following week. Include links to your survey or review locations. Don’t use a form email. Personalize your message for the client. They will appreciate the time you spent to write to them and feel better about spending their time writing a review for you. Send a physical reminder: A letter in the mail goes a long way. It may seem old-fashioned, but a letter asking for a few comments with a stamped return envelope has a good chance of being answered. Bonus points if you include an actual handwritten note. Keep it short: If you choose to use a tool like surveymonkey, keep your surveys short — no more than 1-3 questions with a comment area should suffice. Very few people are likely to fill out a long survey or read long emails seeking reviews. Offer incentives: It is common practice to offer incentives for referrals. Why not offer an incentive for returning a review? Advertise that reviews will be randomly chosen to win a gift card or a discount on future firm services. If your positive reviews far outnumber the negative reviews, prospective clients will determine the negative reviews to be aberrant. This is a very effective way to build a strong online presence while simultaneously increasing your client base. Laws and regulations are complicated, and often when dealing with financial matters, things can get emotional too. Look for a lawyer that is willing to take the time to not only walk you through the process so that you understand, but can also communicate with the other people at the table. Pay close attention to how he or she communicates not only to you, but staff members as well. You want an attorney who is personable – and you also want a legal team that works well together. When working with a lawyer, you want someone you can trust. The best attorneys possess good people skills. 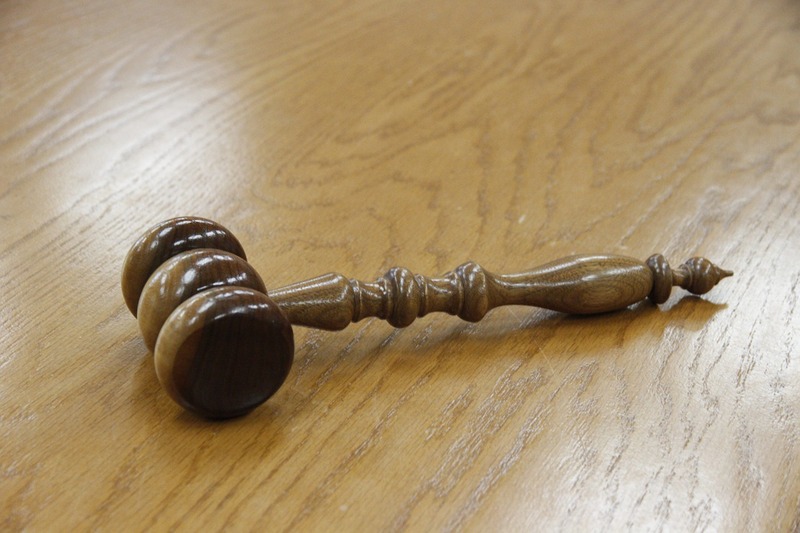 Is your attorney friendly, clear, and a good judge of character? Your attorney should have values that you can agree with. Not every lawyer is right for everyone, so be willing to interview, ask questions and trust your instinct. Often, by the time realize you need an attorney, you are navigating substantially difficult life events. Things may be uncertain and even risky. The purpose of working with a lawyer is to help you determine what can be done to mitigate those difficult situations. At Veitengruber Law, we specialize in financial justice. We are able to take your concerns, cut through the noise and provide clarity. We can be a guiding light during a difficult time. You want a lawyer with strong analytical skills. A good lawyer must be able to take a large volume of information and synthesize it into a concise and solvable situation. Situations vary from person to person and you need someone who can look at your situation from an objective perspective. This will serve you well as you go through your legal proceedings. The best legal teams work together to build on their past experience to find the best strategies for your unique situation. You need a lawyer who will do their homework. Research is crucial to finding a legal strategy to your situation. The best NJ attorneys know to look at the the needs of the client, and how to quickly identify the resources available. Most of all, they need to be able to do this efficiently to get the client answers as efficiently as possible. In all situations, there can be a solution. However, some solutions are easier to find than others. The right lawyer will persevere though the adversity and keep you in-the-know throughout the whole process. More importantly, they will provide encouragement and an optimistic attitude to their clients, even if their case proves challenging. The world is changing at an ever increasing rate. When dealing with difficult financial situations, you need someone who thinks outside the box. There is often a solution to be found, but it may not be the first thing you consider. At Veitengruber Law, we often deal with families in distress and at risk of losing their homes. Not only are we able to save, on average, 60 families a year from foreclosure eviction, we also turn that into a learning opportunity for our clients. We continue to work with them on budgeting and other financial planning, so they do not have to live through that stress again. When you are looking for a lawyer to represent you, please consider these characteristics. You will be well served by them if you do. At Veitengruber Law, we do our best to embody and practice these values every day with all of our clients. Unless you’ve had your head in the sand, you’ve probably heard reports of at least one frivolous lawsuit in your lifetime. Some people today are quick to sue, even when a lawsuit is not warranted. If you have found yourself on the receiving end of a frivolous lawsuit and/or a litigious friend – you’re not the first. It has happened to many people before you. Although this may not bring you great comfort, just know that you are not alone, and you are not the first to be wrongfully sued. If you have been sued for something that you ultimately didn’t do or aren’t responsible for, your first reaction may be to panic. Luckily, you can relax. It can be shocking and upsetting at first, especially if the plaintiff is (was?) a friend of yours. Once the initial shock wears off, you probably want to know what you should do. First things first: It’s important for you to understand that if you’ve only been threatened with a lawsuit, the majority of these type of threats go unfounded and it’s likely that you will not end up being sued. If a lawsuit has been brought against you, it does not mean that you’re guilty of doing anything wrong. Litigious people react to situations that make them mad or upset by taking the offensive position. They are more likely to initiate lawsuits than the average person. Oftentimes, these people are found to be insecure and unsure of themselves. They may feel easily wronged or targeted. Conversely, some litigious people are full-grown versions of the bully that we all knew and avoided in elementary school. As long as it remains simply a threat, you have nothing to worry about (legally), and the best advice would be to steer clear of this person indefinitely (if not permanently). However, if they have taken action and filed a lawsuit against you, it’s time for you to do something about it. Again, remember to remain calm, especially if this is a lawsuit that you know developed out of frustration or desperation. Remind yourself that the person you’re dealing with is likely lonely and possibly deserves your sympathy. Make an attempt to settle out of court (if there is anything to settle); show this person that you regret any misunderstanding. That may be all it takes for them to drop the case. What are my Options? I’ve Done Nothing Wrong! On the other hand, if the person you’re dealing with is acting out in anger, aggression or vindication, it is probably a good idea to consult with a local attorney. If you know a NJ attorney who can give you some advice, ask to drop by his office one day soon for a consultation. Most NJ lawyers will give you a free one-time consultation. If you don’t know any lawyers in New Jersey personally, perhaps a friend can refer you to an attorney they trust. Run the details of the lawsuit by the lawyer you decide to meet with. It is almost certain that you’ll be advised that this is a frivolous lawsuit. This means that it has no legal merit. Believe us when we say that no New Jersey court likes or caters to frivolous litigation. Your attorney can help you get the case settled (with the help of mediation) or dismissed (via Motion to Dismiss). If the lawsuit truly has no legal basis, it will more than likely be dismissed by the court without the need for you to even file an Answer.